Heart Secure-A Badge is Lightweight, heart-shaped design sends a caring message. Custom Heart Secure-A Badges Promotional Heart Secure-A Badge. 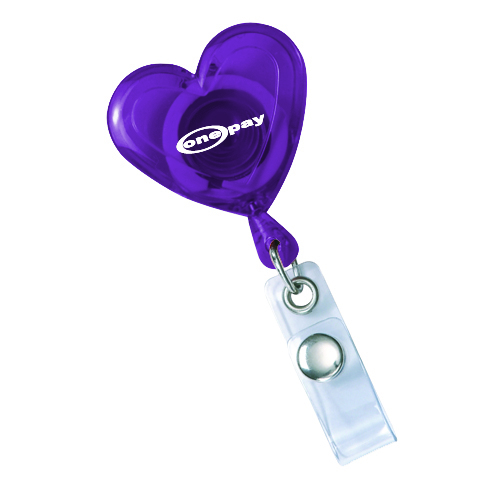 Features 30" sturdy nylon retracting cord, strong snap lock and slide clip on back. 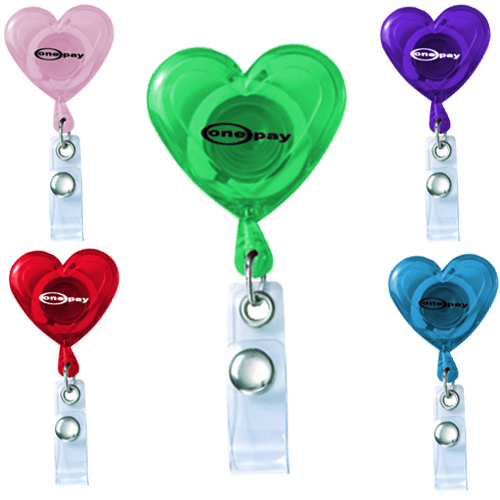 Available in translucent Blue, Red, Pink, Purple, Green, Orange Smoke or Solid White. Individually Poly Bagged / 2 lbs / 100 pcs. / 7 x 5 x 5box.